Are you between the ages 16 – 25? Need extra cash to surprise that special person on Valentine’s Day? You have a chance to be one of 100 lucky customers who will each win N10,000 this month! 25 winners will emerge each week. Simply carry out transactions with your Flexx Debit Card or *329#. 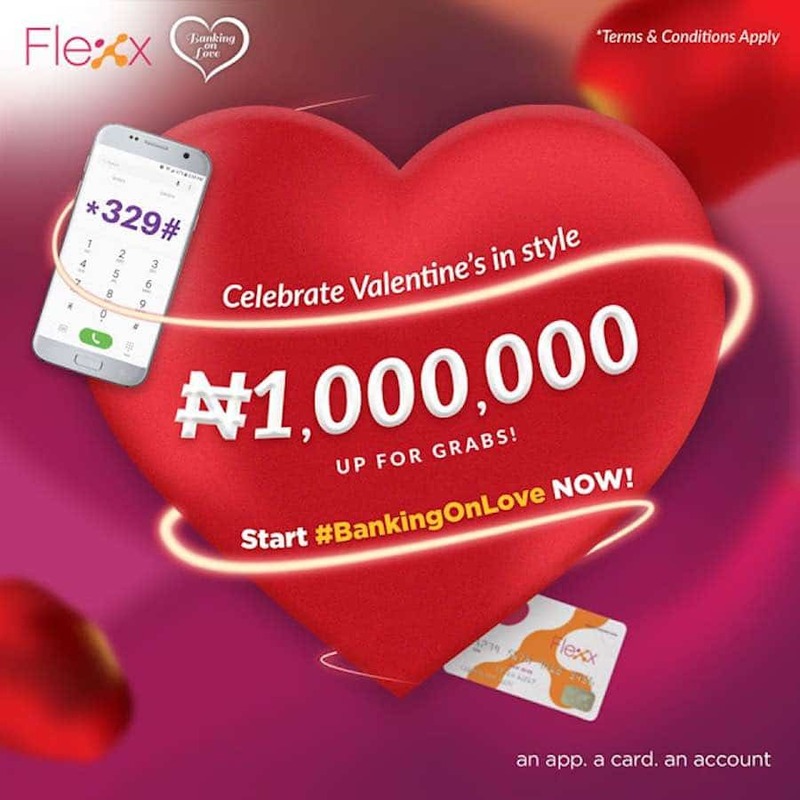 Click here http://on.fcmb.com/BankingOnLove2-1 for more details. Don’t have a Flexx account? Click here http://on.fcmb.com/YourAccountIn4Minutes-BOL2 to open one – it takes 4 minutes and you get your account number instantly!